Ever since a very young age, we look up to the different men in our lives. From our very first steps as babies to our entry into adulthood, our fathers have been there to help us at every step. When you had trouble at school or needed someone to play with at home, there was your brother, always ready to protect you from harm and keep you from boredom. And then, as we get older, we meet another very special man: our soul mate and our potential lifelong partners. These men have made our lives better and happier and so, when it is time for their big birthday, we have to make sure they are feeling as special as they have made us feel in the past years. For the lovers of the great outdoors and fitness: you can offer them an eGift card from Dubai Kartdrome or the Dubai Autodrome! 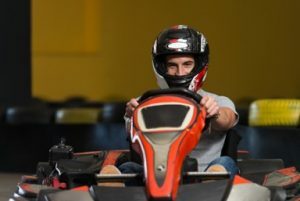 With this card, they can enjoy being outdoors while getting a true adrenaline rush when driving the karts. It is truly a one of a kind experience for the adventurous man as well as the fitness and outdoors lover. The fashion enthusiast man will definitely find something they love on YouGotaGift.com. You can choose from many clothing options as birthday gifts for him in Dubai: a Tommy Hilfiger online gift card will make sure he is dressed in the most fashionable way or a Nike gift card will let them look their best at all times, when they are simply out at the mall and even while they are exercising. The technology lovers will rejoice with our wide range of technology related gifts. A SOUQ.com voucher is a great option with which your man can buy the best items at the best price, best quality and from the convenience of his home. Or, you can gift him an eGift card from Plug Ins, the giant of electronics in the country that offers top of the line electronics all under one roof. For the man who absolutely loves food, how about offering him the gift of deliciousness from Cantina Laredo, a gourmet Mexican restaurant where they can truly enjoy the taste of Mexico? 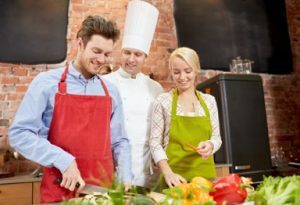 Or, better yet, you can gift them cooking lessons with an eGift card from Top Chef! Birthday gifting for him has never been so easy. Let them choose the items they love from the stores that they like. 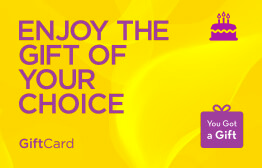 If you are not happy with any of the above options, you can offer him the YouGotaGift.com gift card that allows him to choose whatever he wants from our range of options. Our list of birthday gifts for men does not end here! Our website has even more options that are sure going to make your man feel special. 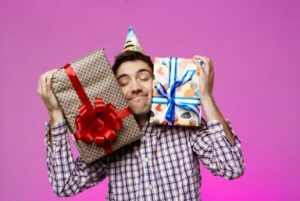 Whether you are searching for a gift for boyfriend, husband, brother or male colleague, we have got you covered for all your birthday gifting needs! Just visit the website and you will have a gift in no time: simply click on the gift card of your liking, enter the amount, choose a greeting card, enter a message and that is it! Your gift will then be sent to them. This entry was posted in Birthday Gifts, YouGotaGift.com and tagged Birthday gifts for him, birthday gifts for men on November 24, 2016 by Maria Najjar.